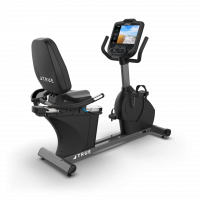 The TRUE C400 Recumbent bike combines quality materials with smart design for an overall package that is unbeatable in performance and durability. 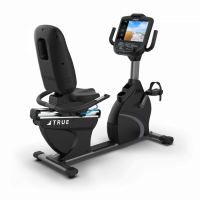 TRUE CS bikes combine quality materials with smart design for an overall package that is unbeatable in performance and durability. 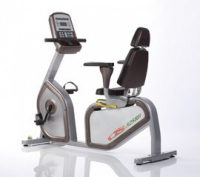 These machines reduce back stress and offer simple programming, making exercise an easy and enjoyable process. 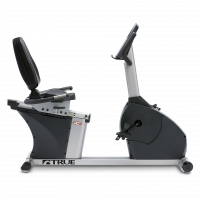 Like all TRUE equipment, the C900 recumbent bike is comfortable, smooth, quiet and durable. The small footprint allows you to maximize the space in your facility while offering the highest quality equipment available to your users. 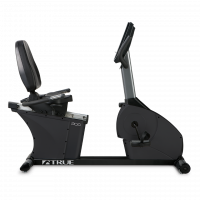 The TRUE PS100 recumbent bike is built on a custom-designed, racetrack-inspired steel frame that is a perfect complement to any exercise facility, especially when combined with other cardio pieces in the PS series.